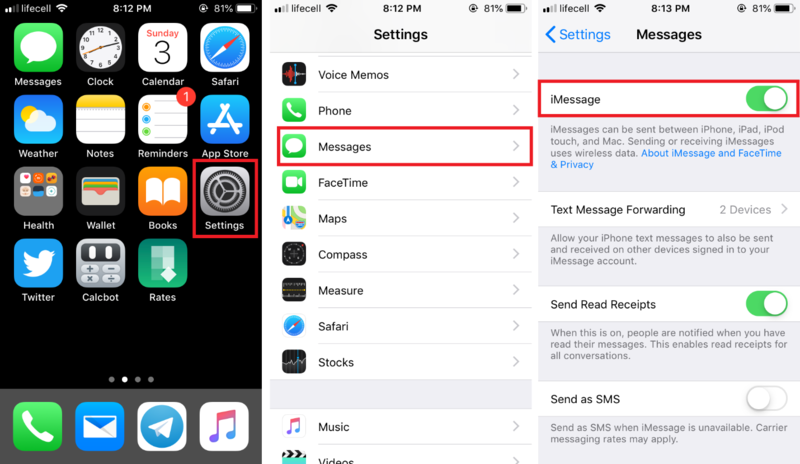 Home / How To / How to Turn Off iMessage on iPhone? There are not so many reasons to turn off iMessages on iPhone. This service is secure, reliable and available on iPhone, iPad, iPod, and Macs what makes it a standard universal method to stay in touch with your friends, colleagues, and relatives who use Apple devices every day. Still, there are people who do not like iMessage. For example, they can’t tolerate the fact that iMessage is limited to Apple ecosystem only or they simply have nobody to send iMessages. Alongside the basic concept of taste, there is another important reason why some people want to turn off iMessage. To activate this service, iOS uses your phone number and sends one text message to Apple’s servers. In some countries, carriers charge a significant amount of money (roaming message) for this kind of messages. The thing is that iMessage activation sometimes fails (iMessage constantly shows “Waiting for activation” error), and iPhone keeps sending messages which in turn drain your wallet. There is nothing wrong with one-time charge during the activation process, but if it fails constantly then you should act, otherwise you will have to pay extra money for every activation try. You can stop this by simply disabling iMessage within the settings. 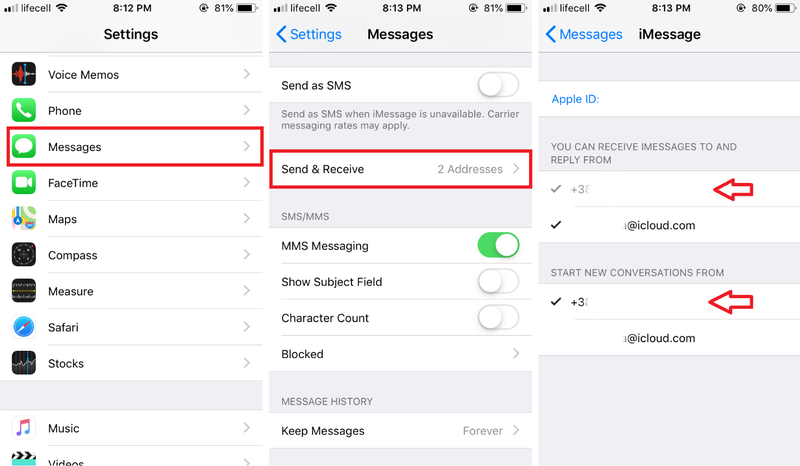 iOS and MacOS enable iMessage by default during the set-up process, and if you do not like iMessage, do not use it, do not want to use it, or just got sick of “Waiting for activation” iMessage error, here is how to turn off iMessage on iPhone. How to Disable iMessage on iPhone? Open Settings and scroll down to the Messages section. All you need to do is turn off toggle iMessage. Now iMessage is off. READ ALSO: How to Enable Dark Mode on MacOS? Here is one important thing to know if you struggle with a “Waiting for activation” iMessage error. You can simply disable using your phone number and use iCloud account instead (by default iMessage allows you using both phone number and iCloud). A helpful tip if you can’t solve “Waiting for activation” iMessage error, but you want to keep texting your iOS friends. Open Settings and locate Messages section. Scroll down a bit and find Send & Receive. On the next screen, you will find two fields: You can receive iMessages to and reply from and Start new conversations from. Uncheck your phone number on both and leave iCloud email address only. Now “Waiting for activation” error should be gone. 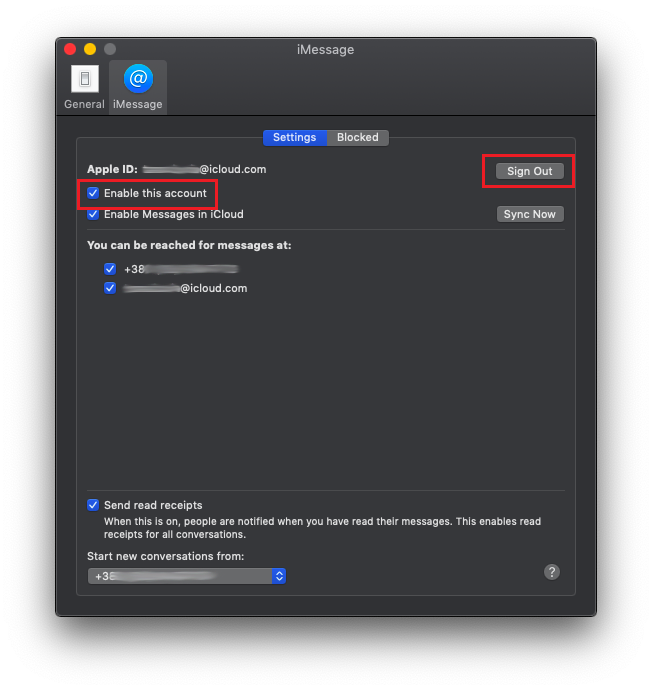 Suppose you do not use iMessage on iPhone, but you have a Mac and want to make sure iMessage is off. Just like with an iPhone, turning off iMessage on Mac is a matter of a few clicks. Launch Messages from Dock or Launchpad. 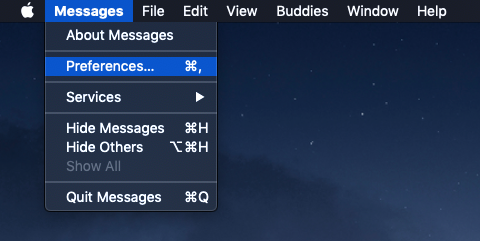 In the upper-right corner click Messages > Preferences. Uncheck Enable this account and click Sign Out. Done. No more iMessages for you. Enjoy using WhatsApp, Telegram, Facebook Messenger or whatever messenger you prefer. In case you want to enable iMessage back simply follow the same procedure.